Multi floor cleaner that can be used on an array of surfaces including wood, vinyl, laminate and ceramic tiles. The floor cleaner is sustainable, derived from natural material while also being hypoallergenic. Free from petrochemicals, phosphates, preservatives, enzymes and synthetic perfumes. It is made in the UK and safe for septic tanks and cess pits. Certified Cruelty Free and Vegan Society registered. Directions for use: Add 1-2 capfuls of floor cleaner to 5L of luke warm water. Apply to floor with mop or cloth. The Bio D Floor Cleaner with Linseed Soap - 750ml product ethics are indicated below. To learn more about these product ethics and to see related products, follow the links below. I like using this floor cleaner. It doesn't smell harsh or sweet and does a good cleaning job. It seems to last a long time as well. It works and smells nice. 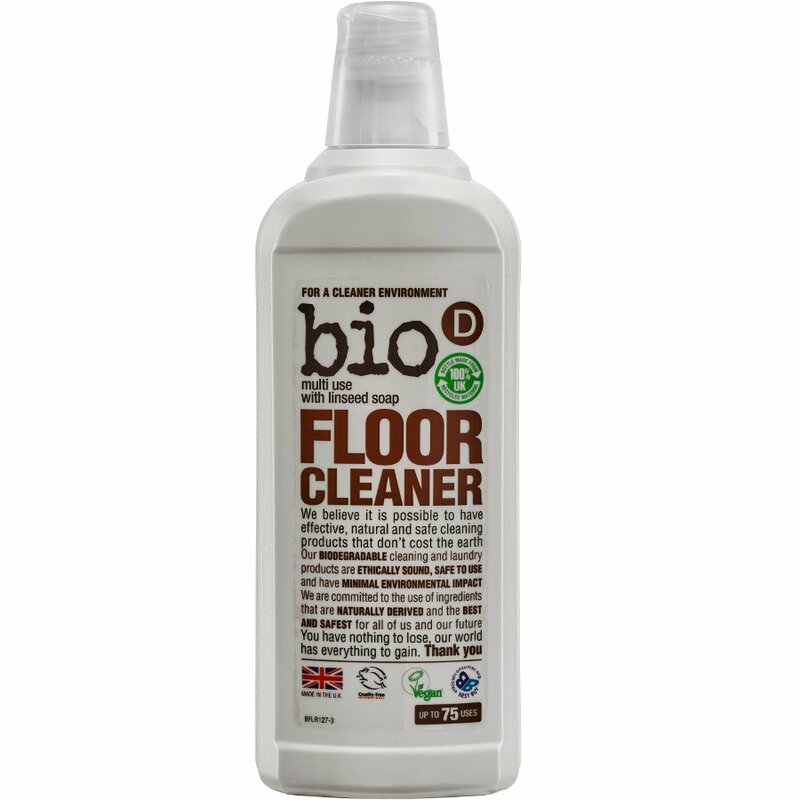 There are currently no questions to display about Bio D Floor Cleaner with Linseed Soap - 750ml.